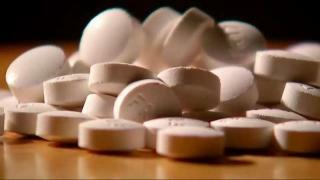 San Mateo County on Thursday joined more than 1,300 cities, counties and groups in suing opioid prescription drug makers for allegedly fueling the nation's opioid epidemic. The county's lawsuit was filed in federal court in San Francisco, but is expected to be transferred to U.S. District Court in Cleveland, Ohio, where Judge Dan Polster is verseeing more than 1,300 similar lawsuits filed by cities, counties, states, tribes, hospitals and insurance companies. Like the other cases, San Mateo County's complaint alleges that the makers of pain-killing drugs such as oxycodone, Oxycontin, a brand of oxycodone, and fentanyl misled doctors and patients about the risks of addiction and overdose and failed to report suspicious drug sales to authorities. County Counsel John Beiers said in a statement, "Our job is to protect the residents of San Mateo County, including public funds -- we would not be doing our job if we did not take steps to address the opioid epidemic impacting our county, including holding the corporate bad actors accountable for their part in this tragedy." Other Bay Area counties that have filed federal lawsuits now pending in Ohio include the city and county of San Francisco and Contra Costa, Marin, Monterey, Santa Cruz and Sonoma counties. The 20 defendants in San Mateo County's lawsuit include Oxycontin maker Purdue Pharma LP, Teva Pharmaceutical Industries Ltd. and Janssen Pharmaceuticals Inc. as well as six members of the Sackler family, which owns Purdue Pharma. The legal claims include public nuisance, false advertising, deceptive business practices, negligence and fraudulent concealment of material facts. The lawsuit alleges the opioid epidemic costs the county millions of dollars a year in extra expenditures for drug treatment, emergency room visits, law enforcement and social services. It says 26 county residents died last year from causes linked to opioids other than heroin and 11 people died from heroin use. Polster has scheduled an initial trial in October on three lawsuits filed by Cleveland, Akron and two Ohio counties. He has also been urging a settlement of all the cases. Last year, San Mateo County filed a separate lawsuit in San Francisco Superior Court against three distributors of opioid drugs, including San Francisco-based McKesson Corp. That lawsuit has also been transferred to the federal court in Ohio.